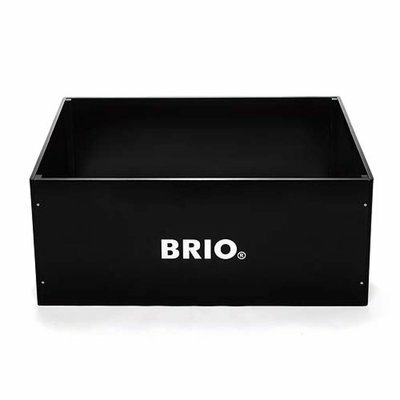 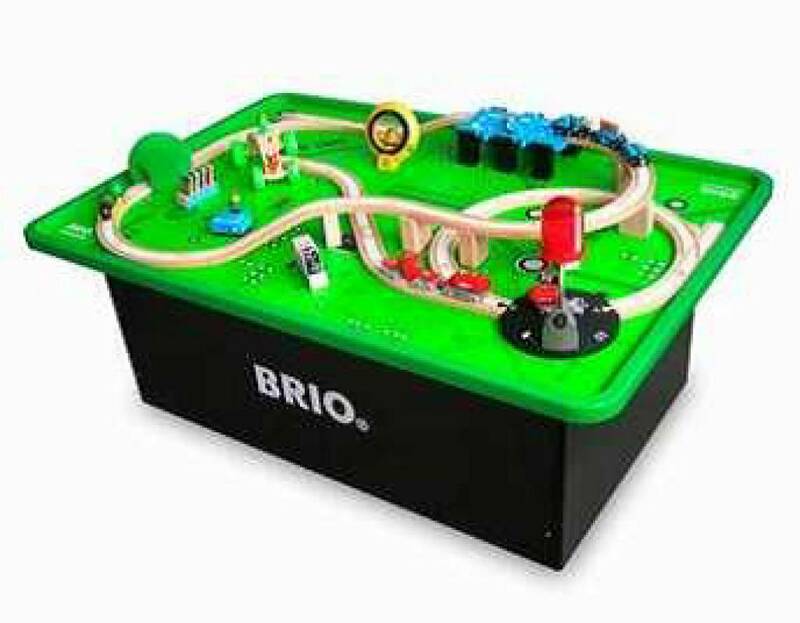 Brio® is famous for its train sets and other educational toys manufactured in Sweden from durable FSC-wood. 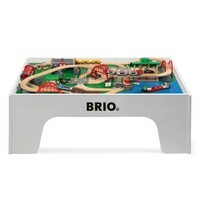 This swedish company has also developed a brio train table set for use in (public) playcorners. 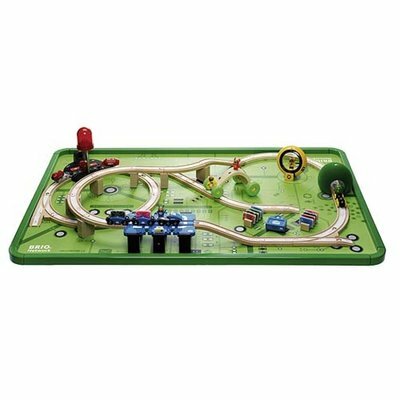 Children learn in a natural way all about trains, their functions and their importance for our society. 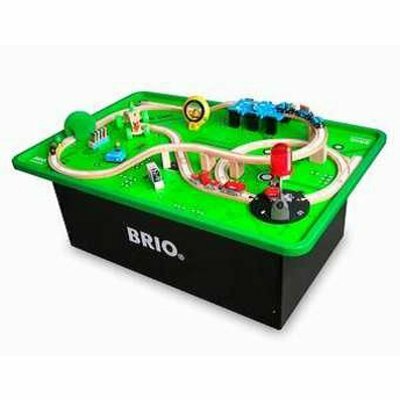 However, this Brio train table set offers much more: due to the addition of many built-in interactive applications, children are encouraged to take part actively and to study cause-and-effect relationships. 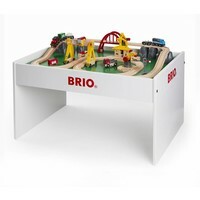 This unique Brio train table set Netword is equipped with a rim which prevents playing elements from falling over the edge. 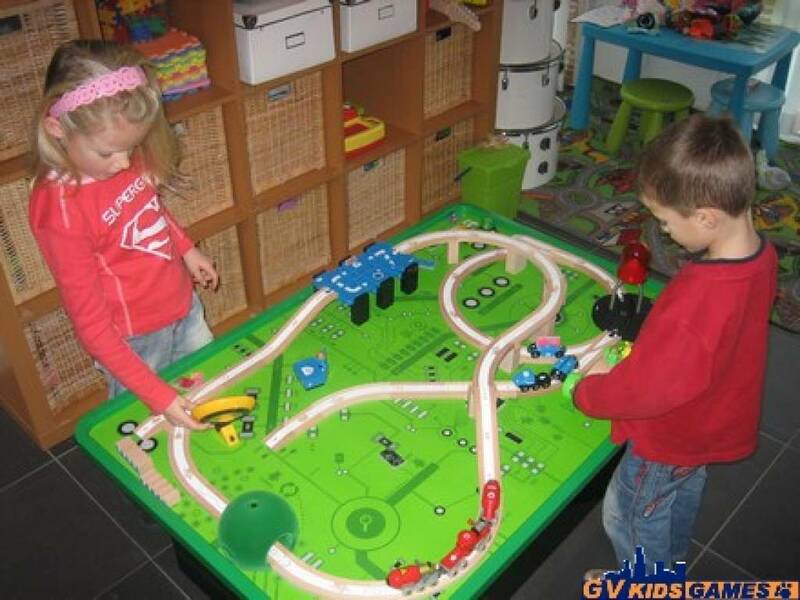 Consequently, your playing room or kids corner will always look neat and tidy. The train table set is delivered including all trains, rails, and play elements. 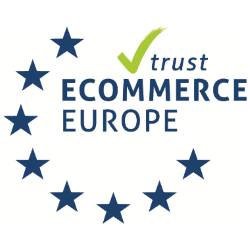 Batteries are not included: you need 2 AA penlight batteries and 3 AAA small penlight batteries.